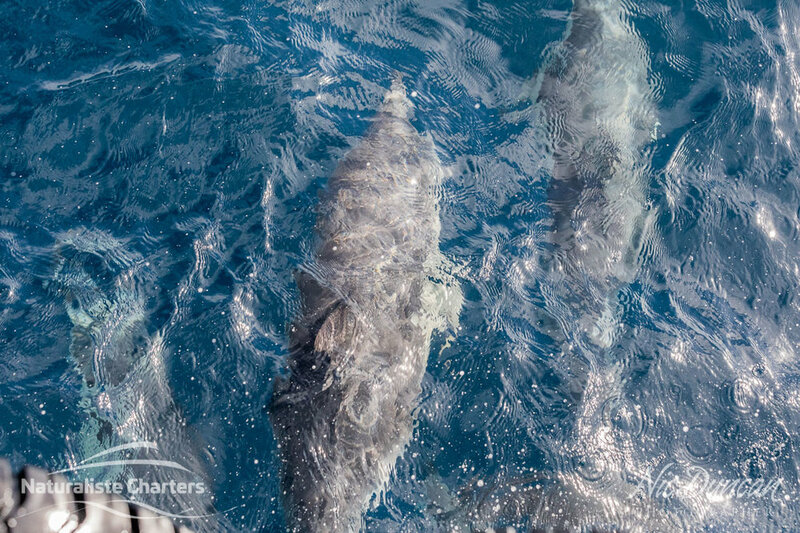 Anyway, I’ve just got home after spending another exhilarating few days photographing these apex predators, again with Naturaliste Charters. 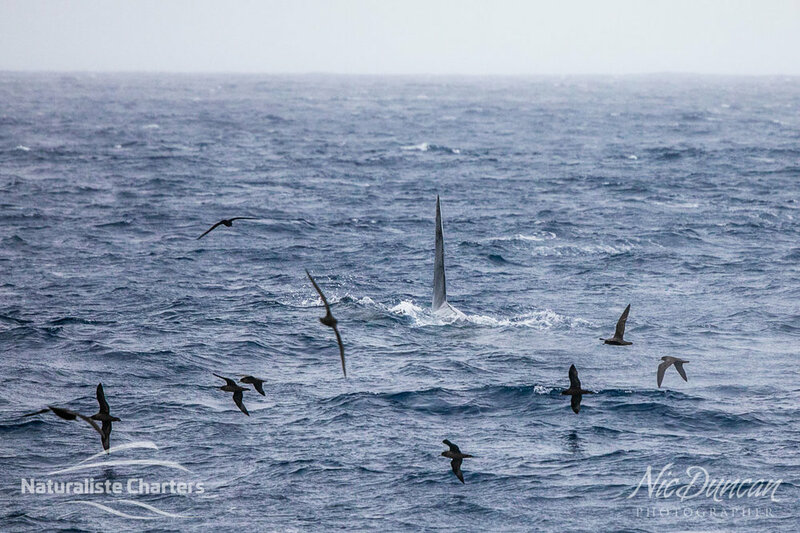 Fortunately the marine biologists who are on board the boat every day do wonderful blog posts each evening detailing the day’s experiences. So I’ll share my photos here, and encourage you to jump over to their blog (link here) to read all about what is going on off our south coast. It is truly awe-inspiring. 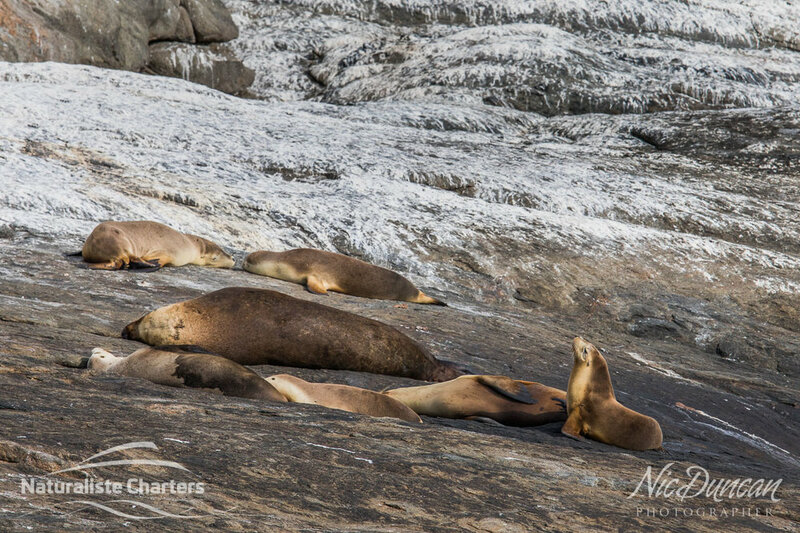 A huge thank you to Naturaliste Charters and to all the crew, last year and this year, for sharing their passion and their knowledge. Not only were the days out on the boat so special, I absolutely loved sitting around the dining table in the crew house each night working on that day’s photos, listening to the conversations around the events of the day, and getting sneak peeks at the amazing underwater Go-Pro footage other crew members were capturing as I photographed what was going on above the surface. 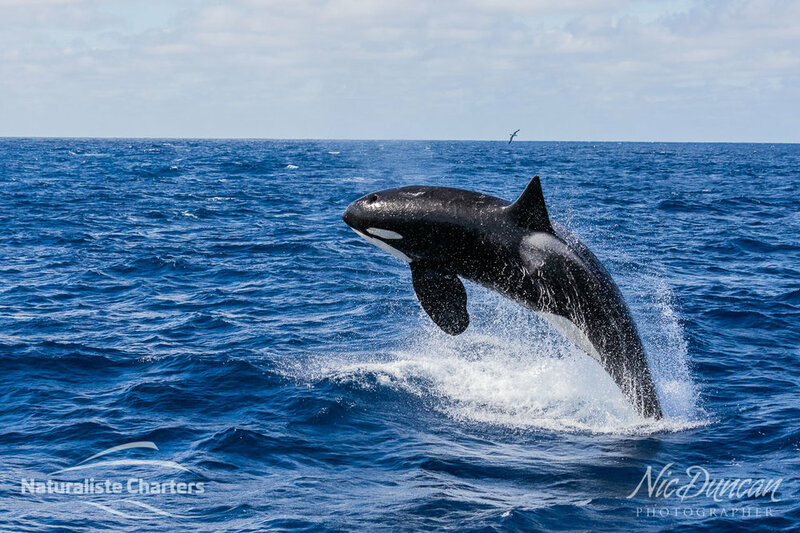 It’s definitely a bucket list item – not only do you get to see killer whales up close and personal as these inquisitive creatures often hang around next to the boat, but there’s so much else going on out there. 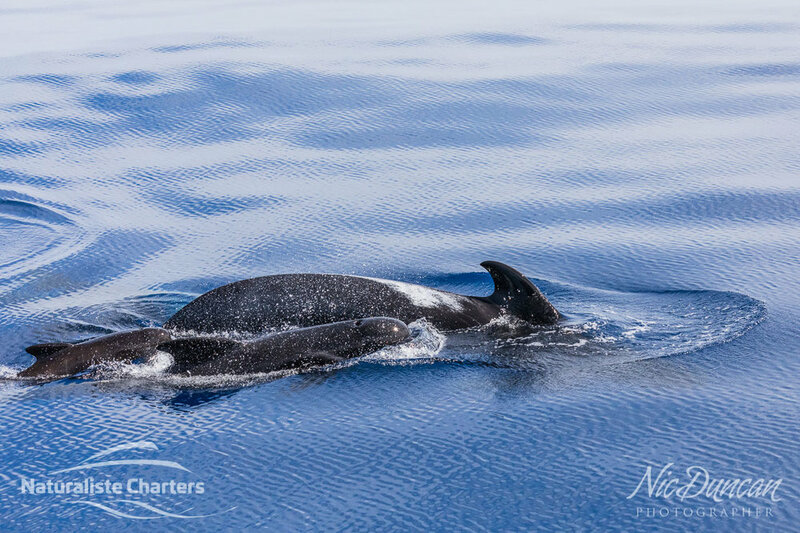 Last week, I also photographed numerous pods of pilot whales (Angry Sausages as skipper Dundee calls them!) creating “Commotion on the Ocean”, I saw a mako shark buzzing a sunfish, wandering albatross with their 3.5m wingspan as they passed overhead, dolphins accompanying our boat back to shore at the end of the day, sea lions sunbathing, great swirls of seabirds signalling the presence of orcas, several surges, a predation, plus the all-time life highlight of witnessing orcas breaching again and again just metres from the boat. That was the moment the excitement levels on the boat amongst passengers and crew alike shot off the scale! A pod of long finned pilot whales (the second largest species of dolphin). How cute is the calf! When an orca appears midair in front of you all you can do is shoot from the hip and hope for the best!